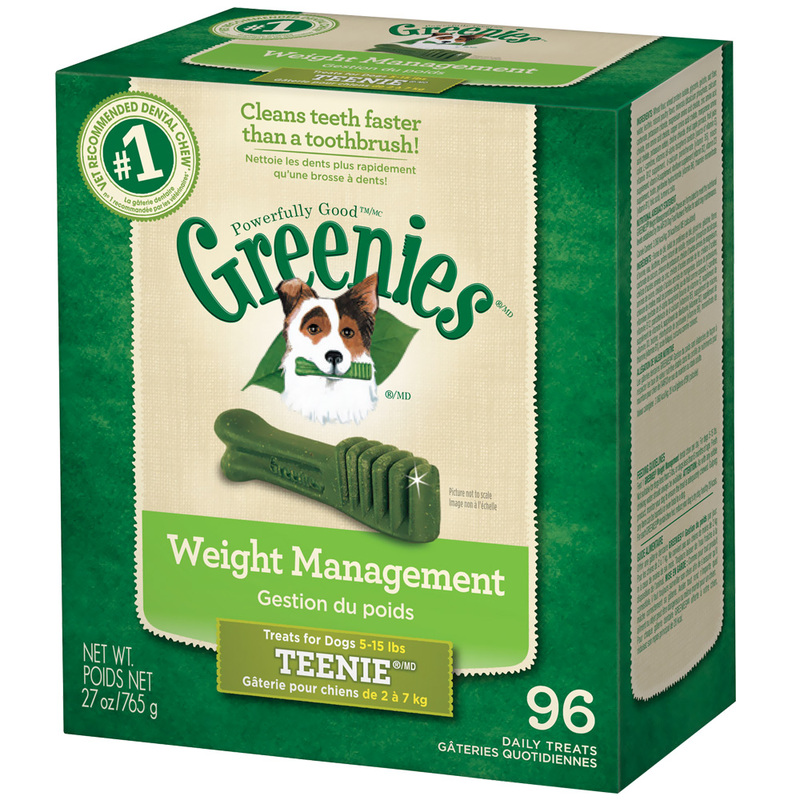 GREENIES® Weight Management Treat-Pak™ includes an abundance of veterinarian-recommended dental treats formulated specifically for overweight dogs. These treats control plaque and tartar with a uniquely abrasive texture that scrape away debris from your dog's teeth and gums. Through this mechanic, Greenies have been shown in independent studies to effectively reduce plaque accumulation by 33%. GREENIES Weight Management Treat-Pak features dental treats that include L-carnitine, a naturally occurring amino acid that boosts metabolism to help your pet lose weight. 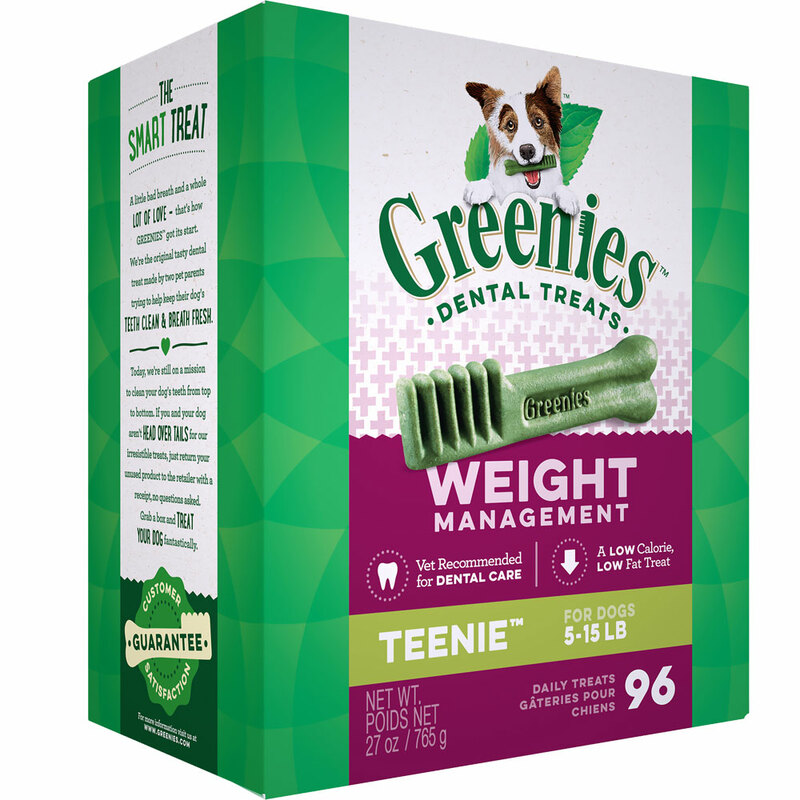 This package contains 96 Teenie treats that are ideal for dogs weighing between 5 and 15 pounds- but it is also available in larger sizes. 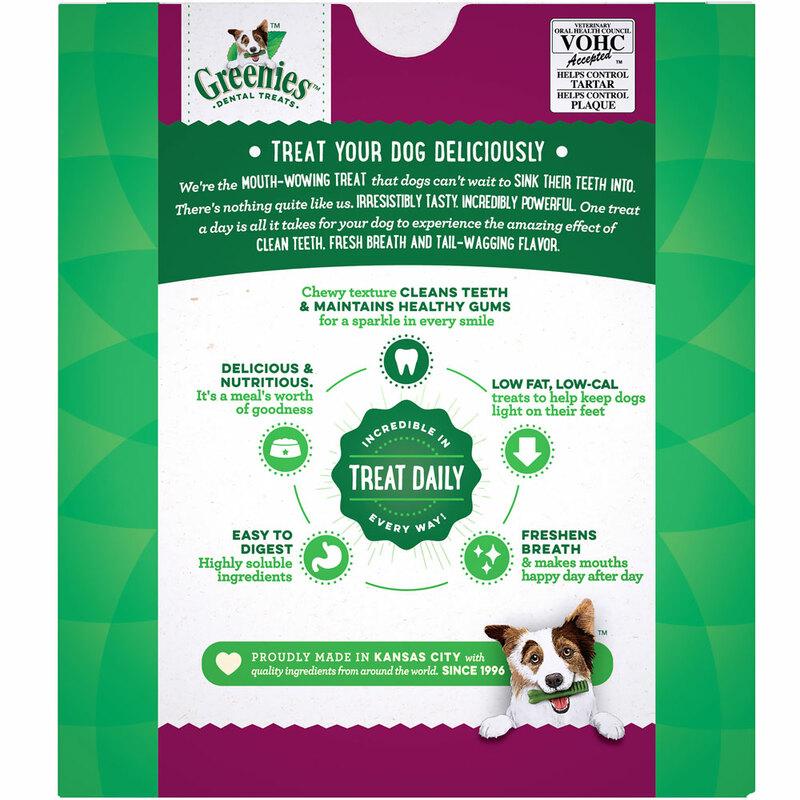 Keep your dog healthy with these weight management dental treats today! 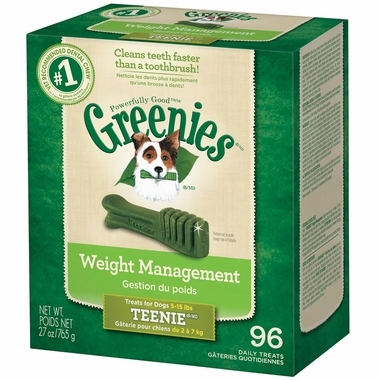 Feeding Guidelines: Feed one GREENIES® Weight Management Dental Chew per day. Not suitable for dogs less than 5 lbs. or dogs less than 6 months of age. Fresh drinking water should always be available.